" Nepal’s first and largest online travel portal "
Being at the top of the world and surrounded by Himalayas Nepal offers variety of adventurous and outdoor activities to those who takes their hobby as an adventure challenge. The diverse landscape has some of the best sites for these activities, extreme and powerful rivers, mountains ranges, clear blue sky, tough and challenging treks, breath taking lakes and rivers to raft and boat, and a wild topography to travel around. The geographical and diverse culture with wild range of nature makes Nepal a perfect place for trekking and exploration. White water rafting in Seti, Trisuli and many more rivers, kayaking with rapid water flow and canoeing in waterfall, hills and highs makes travelling in Nepal more exciting. Bungee jumping from world 2nd largest height of 160 meter in Bhote Koshi and sky diving from 29,000 feet with eye catching scene of Mt. Everest and many other mountains are some of the features Nepal provides for adventure seekers. Nepal is gifted by nature itself; there are lots of National Parks and jungles in which Chitwan and Bardiya is one of the most popular. Jungle safari is one of another kind of adventure and exciting tour. Likewise, Paragliding, Para hawking, Cycling, Biking, Trekking, Hiking, and many other handful of adventure is lying down in the lap of Nepal. Rock climbing is another kind of sport that can be found in Nepal. It is challenging and adventurous sport for the adventure lovers. Rock climbing in Nepal nowadays has become one of the exciting and mind refreshing sport since, the country is gifted by nature with sloppy hills and rocks. The destinations which are most popular for climbing inside valley are Nagarjuna Forest, Shivapuri National Park and Hattiban whereas, Bandipur and Pokhara are famous for rock climbing and caving. This entry was posted in Adventure Sports, Travel on 02/03/2015 by mytrip2nepal. This entry was posted in Travel and tagged Nepal flights, Nepal India tours on 31/07/2014 by mytrip2nepal. This entry was posted in Travel and tagged Airlines in Nepal, Nepal flights, Nepal tourism on 31/07/2014 by mytrip2nepal. Even though it’s a small country landlocked between India, Tibet and China, Nepal is a beautiful place to visit. With diverse cultures, ancient temples, adventurous locales, and friendly natives, Nepal offers experiences that last for a lifetime. Nepal has a varied mix of people and tribes like Sherpas, Indian migrants and Tibetan refugees. 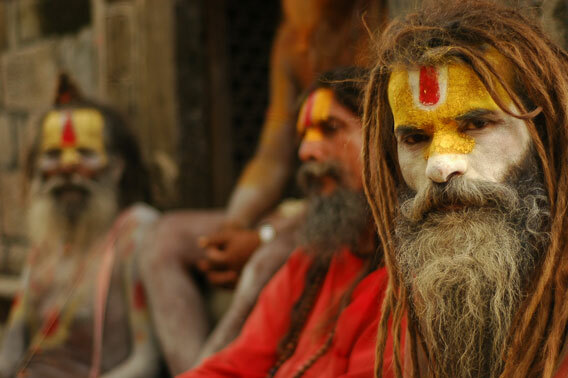 The dominant religions are Hinduism and Buddhism which make Nepal one of the most religiously tolerant nations. Also, tourism is the most budding industry in Nepal, especially making Kathmandu and Pokhara two favorite tourist destinations. Kathmandu is the capital city of Nepal and home to some of the most ancient and finest temples in the world. Kathmandu houses the oldest Pagodas which have been a constant source of inspiration for Pagodas in other parts of Asia. The Durbar square and city of Patan have plenty of temples and palaces. The Swayambhunath and Bouddhanath stupas are widely famous among tourists. Pokahara, on the other hand, is second-most visited place in Nepal. The beautiful lake Phewa Tal enveloped by mountains is truly a traveler’s heaven. Even the mighty Fish Tail mountain in the Himalayas is hard to be missed. Pokhara is also an adventure spot for tourists who love to take part in outdoor sports like cycling, trekking, paragliding, river rafting, and kayaking, to name a few. The ideal time to visit Nepal is in early October – November. Make sure you have taken care of all the travelling formalities – checking for flight prices, applying for visa, booking the flight, etc. – to avoid last minute hassles. You can consider travelling via Buddha Air, one of the best airlines in Nepal. Once you land in Nepal, you will not be disappointed. A mystical land with rich cultural history, Nepal is bound to leave you mesmerized for a long time to come. This entry was posted in Travel and tagged Airlines in Nepal, Buddha Air, Flight Prices in Nepal on 30/06/2014 by mytrip2nepal. Nepal is the tourist’s heaven with its rich culture and a vast heritage, the small kingdom of Nepal is blessed with such astonishing and unique sites that it holds its significant position in naming itself as a best destination for a Unique World heritage tour. The culture of Nepal is a combination of tradition and novelty. The wonderful trip to Nepal will take you to some of the most popular and significant places that is a must visit and I suggest you to note it down so that you don’t miss on any of these when you are in Nepal. The heritage of Kathmandu is illustrated by seven groups of monuments each with unique culture and artistic values for which Nepal is famous for. Nepal is one of such destination where you find creativity with every place you visit. The architecture of Nepal is famous worldwide. The world heritage sites is worth the visit when you are in Nepal. Nepal is the holy land of Lord Pashupatinath and Lord Buddha where the Hindus and Buddhists have lived together in harmonies for centuries. The temple of Pashupatinath is Nepal’s most sacred Hindu Shrine and one of the four most important cities in the world for Shiva worshippers. During Shivaratri, also known as the Shiva’s night there is a rush of foreigners coming to visit this temple. 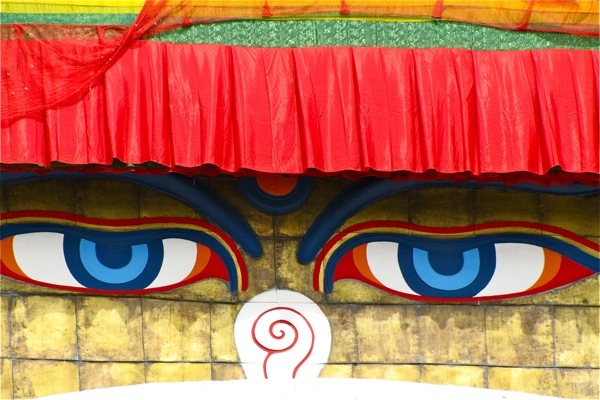 Lord Buddha’s birth place Lumbini, makes Nepal a scared pilgrimage destination for Buddhists. Its beautiful and offers you a total peace of mind. 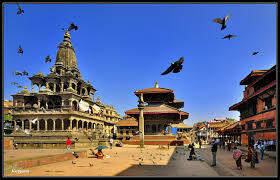 Apart from these, Nepal also offers a beautiful glimpse of Kathmandu Durbar Square, Patan Durbar Square, Bhaktapur Durbar Square, Changu Narayan Temple, Swayambhunath Temple (one of the world’s most glorious Buddhist Chaitya) and the Bouddhanath Stupa which is one of the biggest stupa in the world. All these places have their own unique heritage. Also there are other pilgrimages sites in Nepal that hold great cultural importance. A tour to all these places will make you familiar with the rich Nepal culture. Nepal has been the dreamland for the tourist’s for a long time. There are a lot of traveler who have already visited Nepal and desire for a second visit because of its rich culture and people. Nepalese are one of such people in the world who are always helpful and kind by heart. Almost all the important religions in the world are found in Nepal where the majority of the population believes in Hinduism equally followed by Buddhism. Don’t miss out on this, pack your bag and make sure you get to visit all these places and make it a lifetime experience. This entry was posted in Uncategorized on 11/06/2014 by mytrip2nepal. HOLIEST OF HOLY TEMPLES- MUKTINATH TEMPLE IN NEPAL!! Nepal is a nation gifted with religious and spiritual wonders and rich mythical stories. Being located at the greater northern region of Indian subcontinent, it is home to some of the most regarded religious destinations in the entire south Asia. Few of them include: Pashupatinath Temple (Kathmandu), Gosaikunda Lake (Langtang), Pathibhara Temple (Taplejung), Muktinath Temple (Mustang), etc. Muktinath is a sacred place both if Hindus and Buddhists which is also known as a “place of liberation or moksha”. Considered by Hindus to be one of the eight most sacred sites in the world, Muktinath is also an extremely important site to Tibetan Buddhists, who call it Chumig Gyatsa, which means ‘Hundred Waters’ in Tibetan. For Tibetans, Muktinath is one of the 24 Tantric places in the world and home to the Dakinis, goddesses known as Sky Dancers. Narsingh Gompa, a smaller temple within the larger Muktinath site, holds a golden icon said to be a manifestation of Avalokitesvara, a bodhisattva who embodies the compassion of all Buddhas and of whom the current Dalai Lama is said to be an emanation. Tibetan Buddhist tradition also states that Padmasambhava, the founder of Tibetan Buddhism better known as Guru Rinpoche, meditated at Muktinath on his way to Tibet. JOMSOM: Jomsom is locted in Mustang District, Nepal. It makes a section of the greater trekking trail of Annapurna Circuit which is the most popular trekking trail in Nepal. Serving as the district headquarter, it covers both the banks of the Kali Gandaki River. To reach Muktinath, one can take a flight from Pokhara to Jomsom and ride to Muktinath. Also if interested it is possible to drive/fly or even trek to Muktinath from the only airport of this region, Jomsom Airport. MUKTINATH: Muktinath is considered a sacred place by Hindus and Buddhists. This ancient temple is located in Muktinath Valley at the foot of the Thorang La Pass, and is a temple dedicated to Lord Vishnu. Hindua call this scared place “Mukti Kshetra” which means the ‘place of liberation or Moksha”. This temple is considered to be the 105th among the existing Divya Desam i.e. 108 Vishnu temples that are mentioned in the works of the Tamil Azhwars (Sadhus). 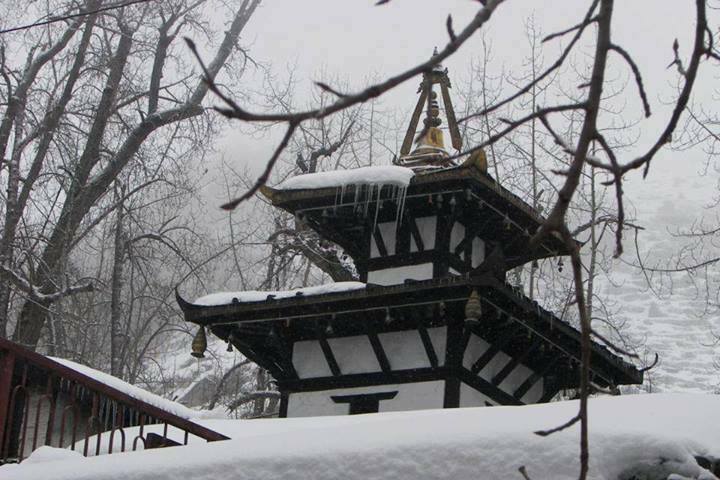 TRAVEL SEASON: One can visit Muktinath temple during Pre-monsoon (March-June), and Post Monsoon (September- November) seasons. It can be trekked throughout the year. This entry was posted in Uncategorized on 25/05/2014 by mytrip2nepal.